- 殘編 (Tanya Hsu) on 五月 30, 2015. This weekend, Discover Boating is offering free HOST (Hands-On Skills Training) to boaters at the Port Credit Spring In-Water Boat Show! 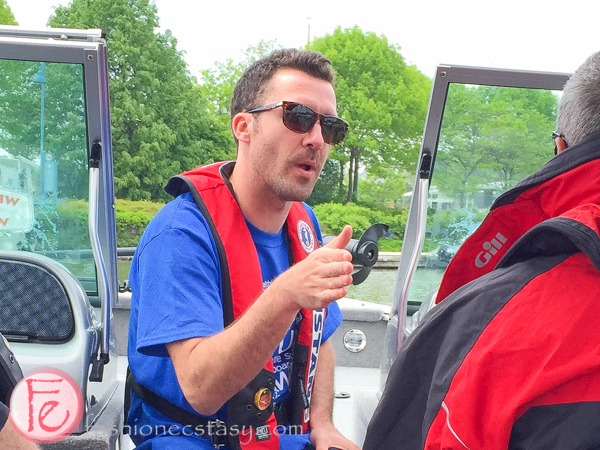 We joined one of the HOST fundamental training sessions and hopped on a Yamaha G3 boat with Tracey Hart, Director of Marketing of Discover Boating Canada, and our instructor Adam Levine… wait, I think his name was Dustin, to learn all about boating. Dustin was incredibly knowledgeable and in just an hour session, we learned tricks on how to launch, turn, stop, and dock a boat. All we need now is to shop for a boat and let the boating life begin. Boating life is not a dream, it is a lifestyle; a way to develop bonds, create memories and appreciate nature. There are many types of boats including deck boats, cuddy cabins, bowriders and much more; each built for a different purpose/activity. Once you’ve found “the one”, you will find her in fact, affordable. Discover Boating has many programs to help new boaters learn and experience the life on water. HOST, provided by Discover Boating Canada and funded in part by Transport Canada‘s Boating Safety Contribution Program (BSCP), is a perfect way to prepare boaters for the coming boating season. HOST is an educational program that encourages new and experience boaters by building their confidence through hands-on training on water. It aims to expand the boating community and help boaters create a more enjoyable experience.